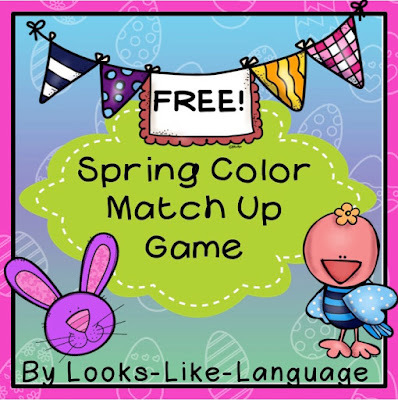 Classroom Freebies Too: Spring Time Fun- Open Ended Freebie from Looks-Like-Language! Spring Time Fun- Open Ended Freebie from Looks-Like-Language! Are you ready for spring? I know that I am! With the start of spring right around the corner, I decided it was time for a quick and easy open ended game for spring! The graphics are so cute, and you can use the game to practice any skill! This week I am providing you with the game boards. Just go to my blog to download them. Be sure to stop next week this time to get the cards to complete the game! Feel free to comment while you are there to let me know what you like best about my freebies. It is a nice way to get more of a good thing! I hope you are having a fun, green St. Patrick's Day!